Pre-workoutFOURPLUS 4+ XNO+ - 120 kaps. FOURPLUS 4+ XNO+ - 120 kaps. High-quality blend of arginine, creatine, AAKG, taurine and beta-alanine. Supports exercise performance of the body, it contributes to faster increases in mass and physical strength! FOURPLUS 4+ XNO+ - 224 kaps. 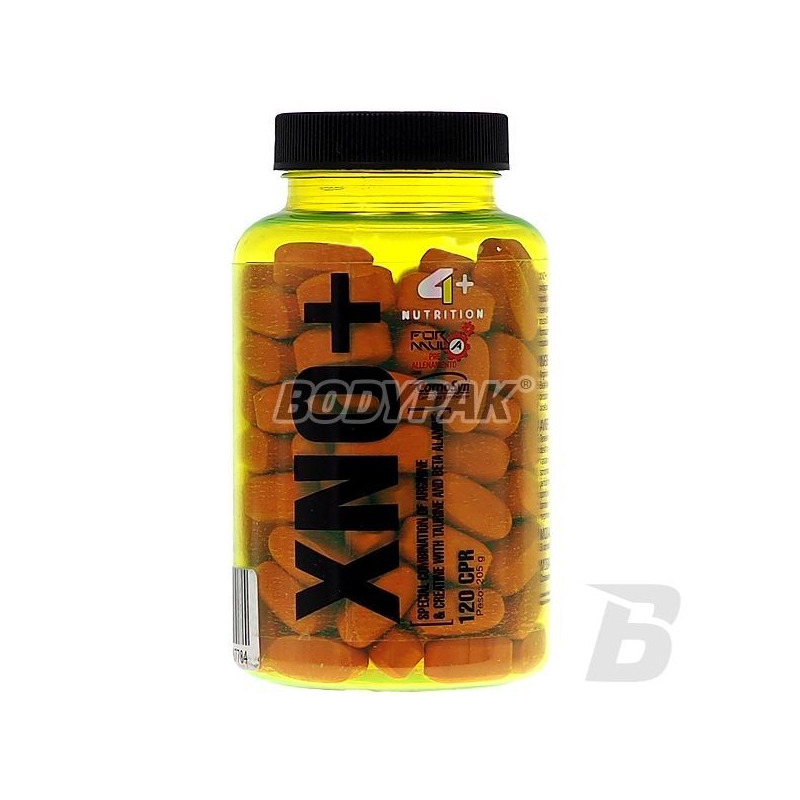 4+ XNO + is a mixture of arginine, creatine, AAKG, taurine and beta-Alaninyczyli all active substances needed to carry out strength training at maximum speed while feeling an incredible muscle pump, which persists long after its completion. All the above mentioned components XNO + are involved in building muscle mass, enhance energy production (ATP), intensify anabolic processes, stimulates muscle protein growth heighten the force of muscle contraction and increases the hydration of muscle cells. Składniki: Arginina AKG, Kreatyna monohydrat, Pirogronian kreatyny, Kreatyna AKG, Tauryna, Beta-alanina (CarnoSyn), celuloza mikrokrystaliczna, dwutlenek krzemu, stearynian magnezu, propylometyloceluloza, talk, barwniki: E124, E171, E172.